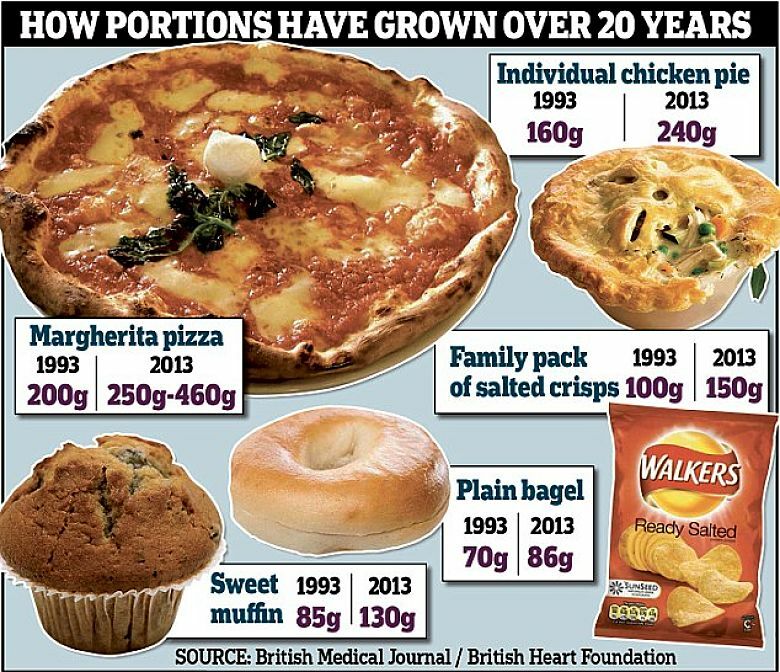 New Research has confirmed the obvious - Snacking, upsizing, super sizing and large portion sizes are the worst enemies for dieters, bringing all that effort undone. The recent expansion of '2 for 1' and other 'discounting' deals in supermarkets an shops is also a killer because it promotes over indulgence. Why do the shops offer these deals rather than just straight discounts? 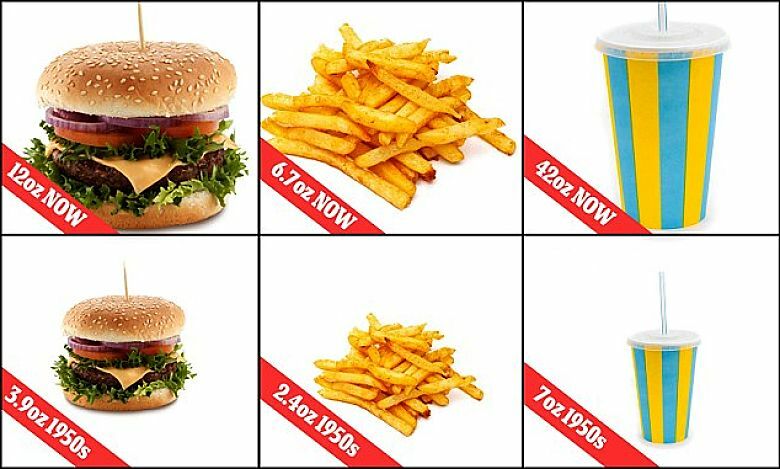 Because they know the consumer will eat more and consume more, and so buy more. If you get two packs of cookies you will tend to eat them faster - you won't put one aside for the next time you would otherwise be buying cookies. 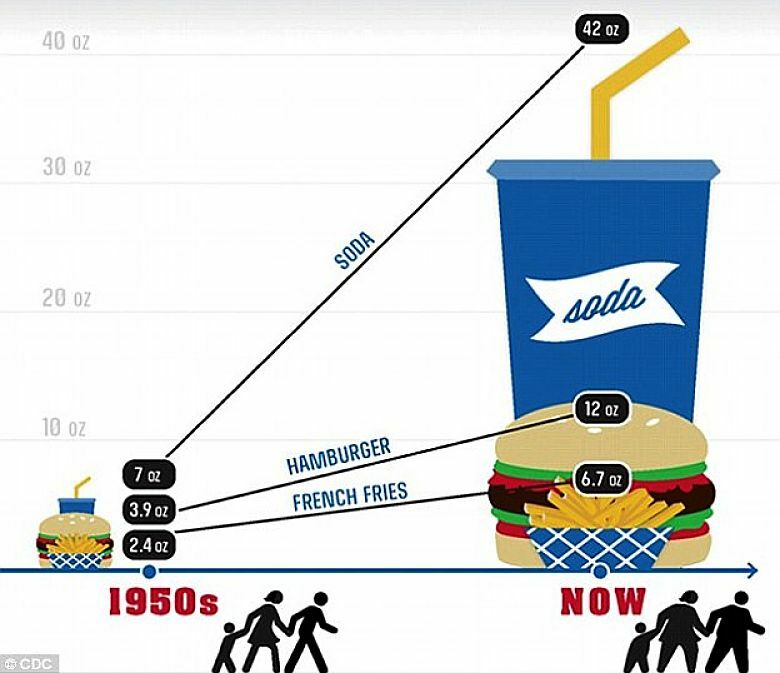 Obesity levels have increased rapidly in many countries since the 1970s. 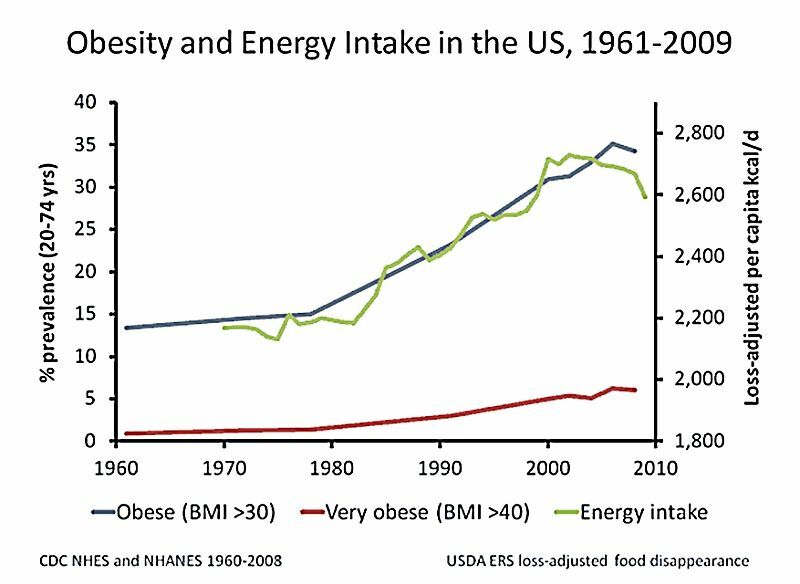 In the US, about 35% of all adults, amounting to more than 72 million people, are now officially classified as obese. The best way to do lose weight is by reducing portion sizes and intermittent fasting – Eat less Calories. 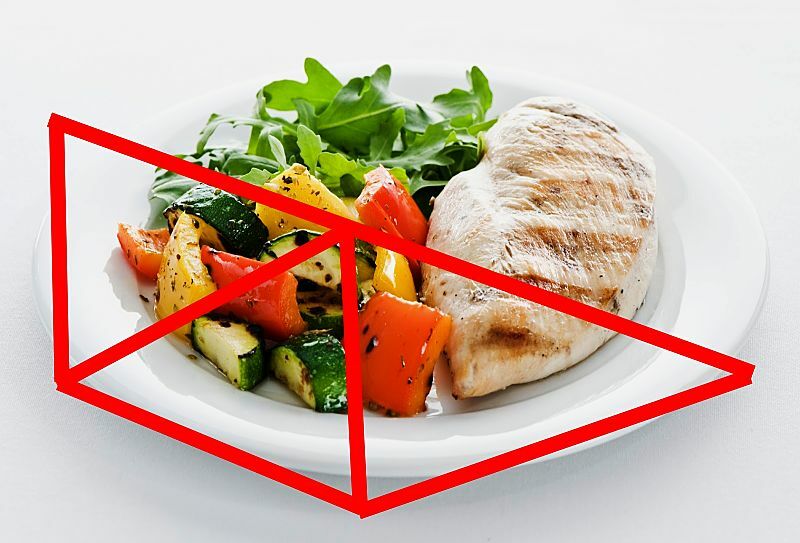 Only Eat the Better Half - Halve what you eat and eliminate the poor quality parts of your diet. 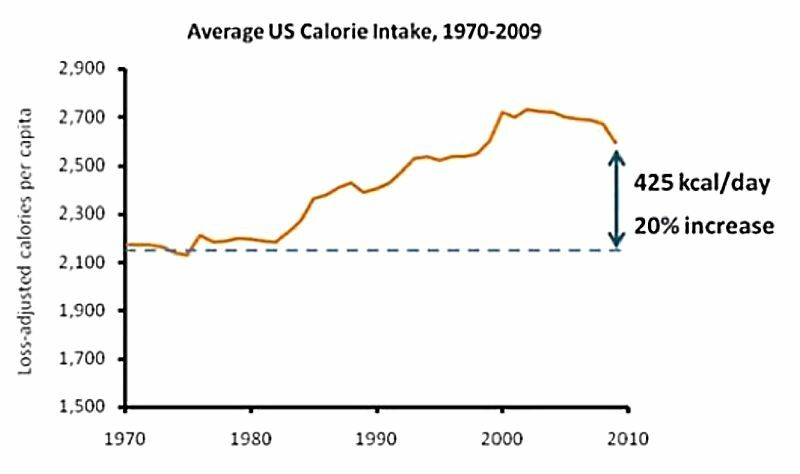 The average daily amount of calorie consumed in a day in the US has increased by about 30% third in 30 years, reaching an average mean of about 2,400 kilocalories per day. 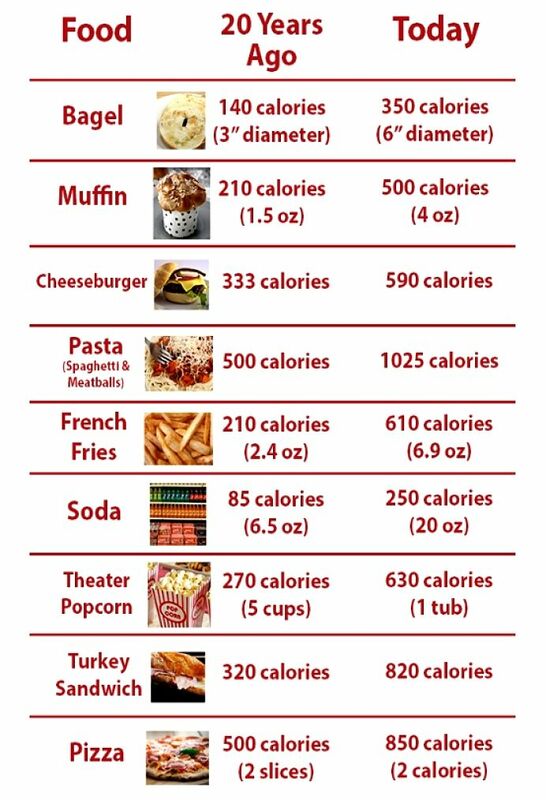 Research has shown that high-calorie foods are being consumed more, but most of the increase is due to larger portion sizes and snacking. a mean of 2,375 kcal in 2003-06. 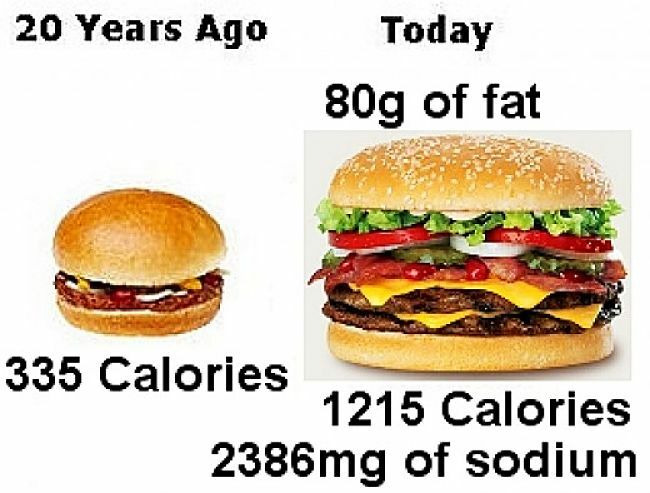 In the last ten years, the average daily calorie intake went up by 229 kcal. the number of meals and snacks eaten in a day increased. The researchers found from their analysis of the data that the most significant cause was increases in the number of eating occasions and more snacks eaten, and increases in portion size. These findings suggest a major shift in focus is required from food types and aiming for a balanced diet to simply reducing the amount of food we eat. 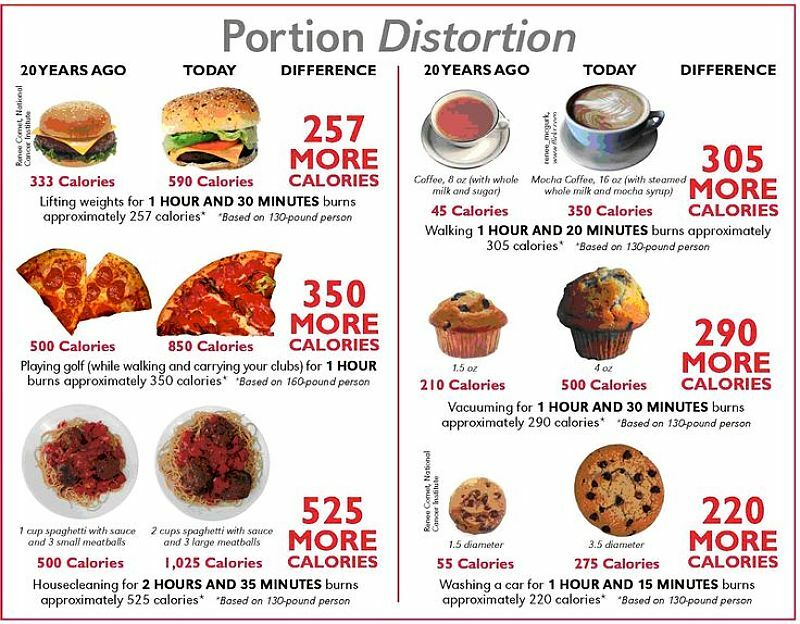 It also suggests the need for behavioural changes so that smaller portions are socially acceptable and developing substitutes for notions such as 'I need a break - I'll have a snack', snacking because you are bored or snacking because of habits. Removing the temptation to snack by not having them available may also be required. Advertising may also have contributed to this through slogans such as 'Have a Break, Have a Kit Kat'. Related to this is the finding from other studies, is that obesity rates are larger for women who do not smoke. A study of 8,000 women, 40% had never smoked, found 40% of those who smoked were overweight or obese compared to 60% of non-smokers. The study also found that the highest rate of obesity among the non-smoker group occurred in the low income groups. It has been suggested that the reduction in the numbers of female smokers over the last 10-20 years may have direct affected obesity levels. Fewer people may use cigarettes in an attempt to suppress their appetites and may grab a snack instead. It is important to note however that smoking is a much stronger risk to your life than obesity and other factors. 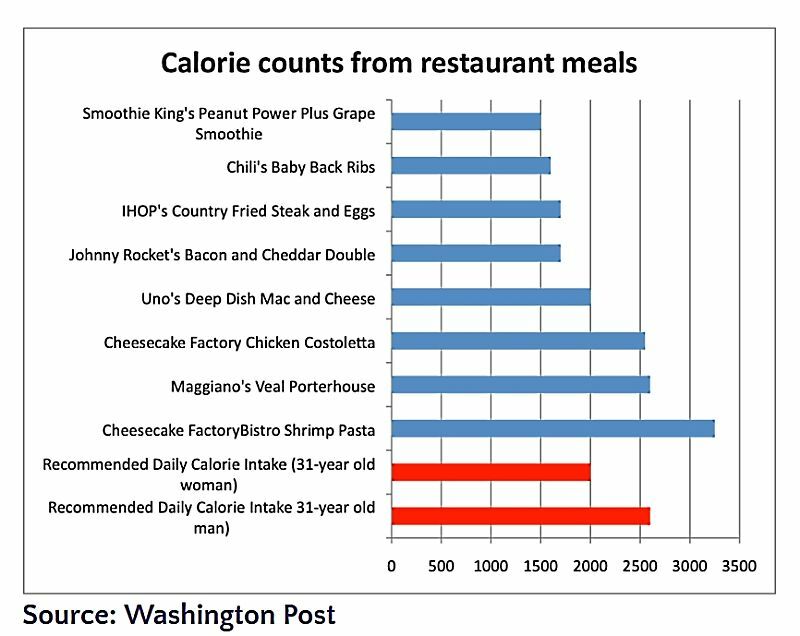 Calorie counts for many meals are now larger than overage recommended daily calorie intakes - People eat too much!